Q. How do I know if my Septic tank is blocked or not? A. The usual symptoms are the drains block up which are noticeable because there is either sewage discharging up through the manhole covers or toilets are unable to be flushed with the discharge going away. This could either be a simple blocked drain or the septic tank is blocked up. On a lot of occasions a strong sewage smell would also be evident around the area of the septic tank if it is not functioning correctly. Q. How do I unblock the Septic tank or prevent it from being a problem? A. 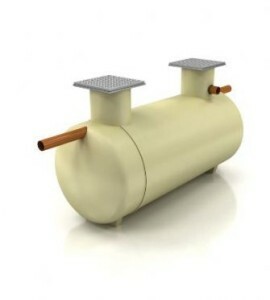 There are various reasons why septic tanks fail but the usual reasons are that the soak-away system which is normally connected to the septic tank by a discharge pipe is clogged up with silt/sewage and is time expired and requires renewing or cleaning through. Q. Why do I have to have a septic tank in the first place, why can’t I just connect to the main drains? A Normally septic tanks are installed because there isn’t access to the main drainage system, usually because the property is situated in a rural location. Q. My Septic tank is filling up and needs emptying on a much more regular basis? A. There is a possibility that the tank has cracked/split due to tree roots or age which is resulting in ground water coming into the tank and filling it up too quickly. A. If you suspect that there is a fault with your tank in any way it is worth getting a specialist out to do a visual inspection of the tank and provide a solution. You should check that this service is provided free of charge and that a free quote is issued if there are any faults found. Q. Is this covered under my house insurance? A. It depends, if it is an insured peril, then the answer of course is possibly yes. But initially you need to provide your insurance company with some supporting evidence that there is something wrong. It is not down to them to unblock the tank or provide a report on its condition initially. The best way forward is to get a specialist involved and get the information together as to why you are making a claim and then provided the claim is handled correctly, efficiently and effectively, from beginning to end then there is a high possibility that the insurance policy will cover this with the only cost to the customer being the policy excess. Blockbusters Drainage provide a fully insured services and can be contacted on 0800 0689282. Blockbusters have been established for over twenty five years and have been covering the South East of England. They provide advice and quotations on a free of charge basis. We also have an in-house loss assessor who can work with your insurance company directly on your behalf, free of charge, to ensure any insurance claim is handled efficiently and effectively from beginning to end, with normally the only cost to the customer being the excess (typically under £200). Blockbusters are insurance company approved, are Trading Standards approved and are Approved Trusted Traders by Which? and Checkatrade.